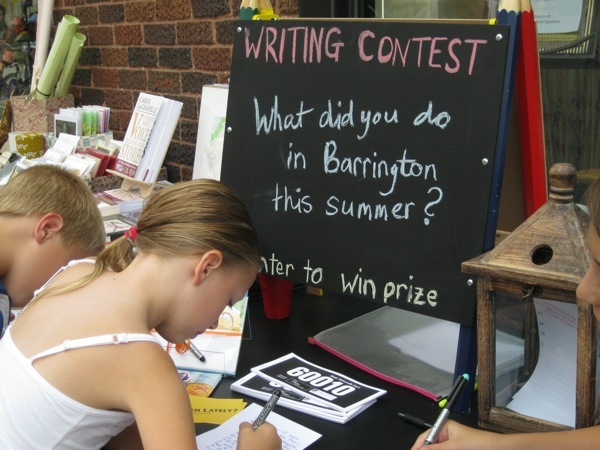 21Barrington.com – Write with us! Well the summer is over, but there are still writing classes at TT Patton. Sign up today for our next student writing class…Stories Under the Stairs with Author Carmela Martino, Friday, September 24th, 10:30am – 12:00pm when you’re out of school. You’ll learn all about anthologies and participate in writing one. Going to TT Patton’s writing class! Previous Post Typing Faster = Increased Achievement. Really District 220? ?